To rave means ‘to talk irrationally’ or ‘to talk or write enthusiastically about something.’ As a noun, it’s an enthusiastic appraisal or review of something and the act of raving and, as an adjective, it means enthusiastic. 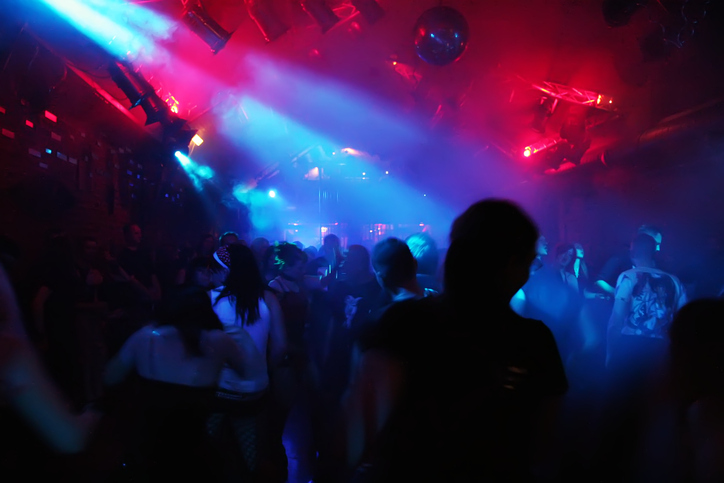 Informally, a rave is a wild and often illegally held party where electronic dance music is played. The patient had a fever and was raving. Josie is always raving about her favorite band. The newspaper published a rave about the new play on Broadway. The angry man's rave went on for several minutes. The novel received rave reviews. The teenagers are planning to go to a rave at the weekend. When talking about the wind, a storm, or the sea, rave can also mean ‘to make a furious roaring sound,’ but this is now rare and the verb rage would be more common with this meaning. There is even a board game called Rave, created in 1991, by WOW Enterprises, and based on the dance movement. Rave dates back to the early 14th century. The Middle English verb raven, which originally meant ‘to show signs of madness or delirium,’ came from the Middle French verb resver (to wander or be delirious). Its origin beyond that is unknown. Coincidentally, an identical verb, raven, appeared in Scottish and northern dialect around the same time, though in this case, it meant ‘to wander or stray.’ It is probably unrelated, and came from Scandinavian origins. Nowadays, they are considered one verb, and the meaning has evolved to a figurative sense, either ‘to talk irrationally or angrily,’ or to ‘talk enthusiastically or excitedly.’ The noun comes from the verb, and first appeared in the late 16th century, meaning ‘the act of raving.’ The sense ‘popular enthusiasm’ is from the early 20th century, and ‘flattering or highly positive review’ is from the 1920s. The party sense is originally UK slang form the 1940s, but we now identify it with the type of dance party from the 1990s.